Julia and I were on our way home from dinner in downtown Charleston when I pointed out the towering rain clouds we were heading into. "But it's OK because rain makes things grow," she said. Very true. A bit later, after it briefly poured, she said, "Look at that rainbow!" 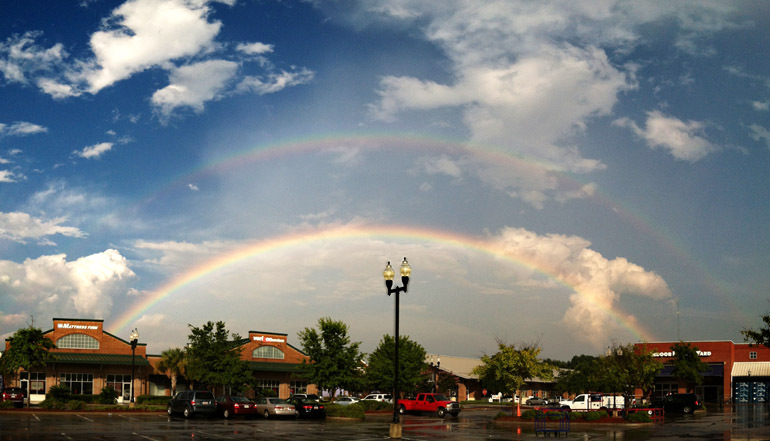 Thinking it was a lame, partial rainbow, I casually glanced to the sky opposite the sun and saw a brilliant, distinctive, complete double rainbow. We stopped first at the closest open area: a Lowe's parking lot. 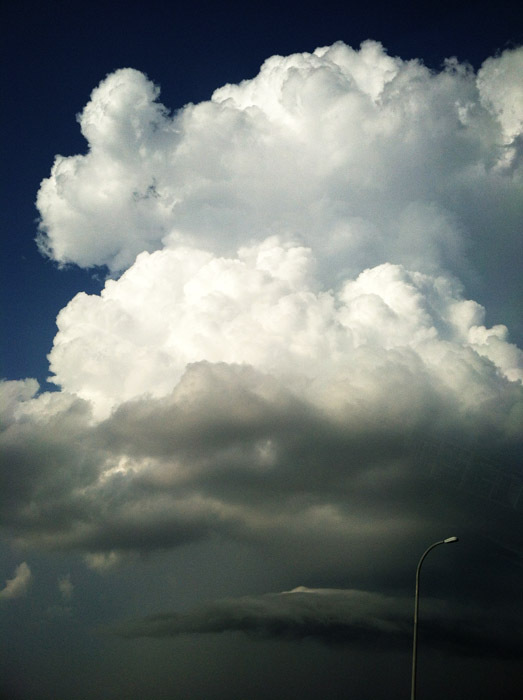 I snapped photos with my phone. But it faded, and we drove home as I noted the mini rainbows in the mist kicked up by moving cars' tires. 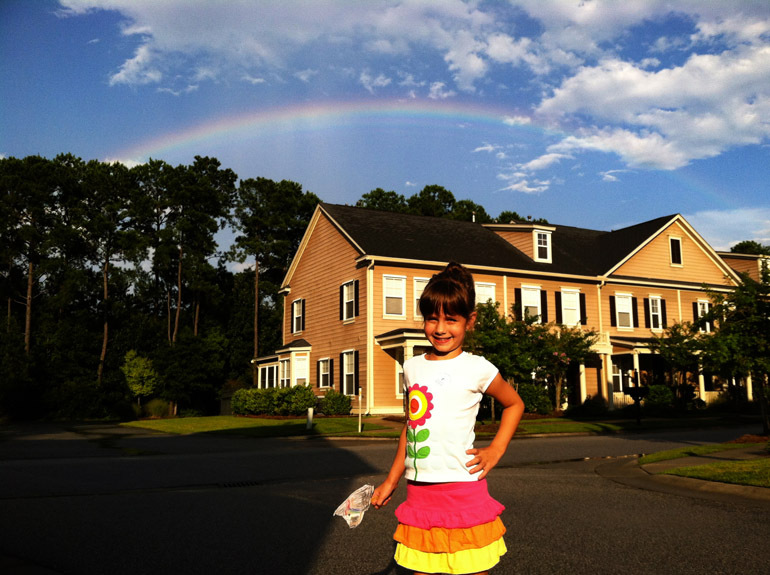 I talked about Roy G. Biv, but Julia already knew all the rainbow colors in the correct order. Can't tell her nothing. 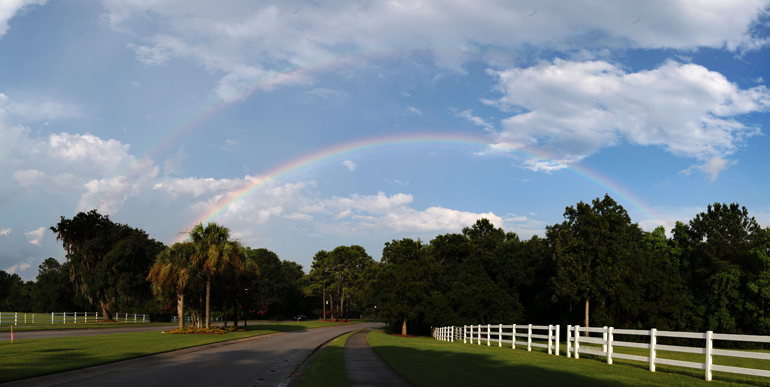 Then we pulled into my community and saw another, though somewhat faint rainbow. Julia enjoyed the ride as I drove onto the raised sidewalk and took pictures. She posed for a photo near the house. "Too bad I'm squinting," she said. 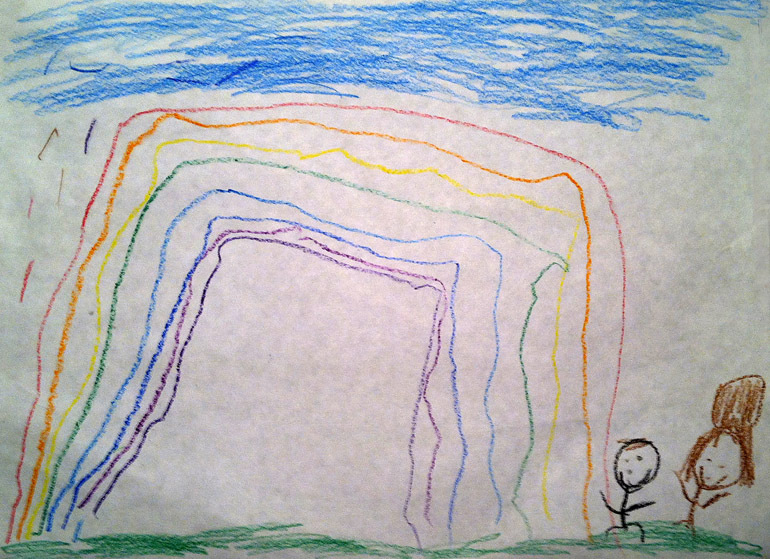 The rainbow eventually faded again, but Julia came up with a way to make sure it never goes away: She drew a picture with a colorful, full rainbow and the two of us, side by side, enjoying the view.